4 Processed Foods Using Indonesia Candlenut That Are Practical And Economical - Blog - Tiga Rasa Indonesian Spices, Tamarind, Candlenut, Green Mung Beans Supplier. What do you imagine when talking about Indonesia Candlenut? Most probably will answer kitchen spices that look and feel like peanuts. Indeed, there is nothing wrong with this answer, because Indonesia Candlenut is known as a kitchen spice whose appearance will be like peanuts if the skin has been peeled. 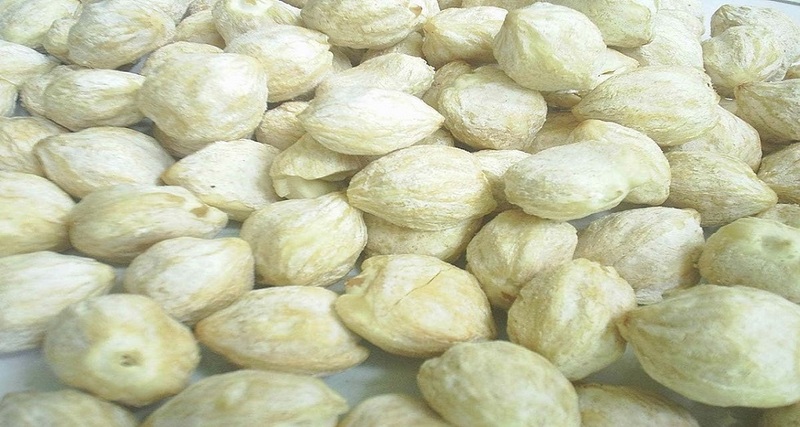 In addition, Indonesia Candlenut is also commonly added as a natural thickener and gives white color in cooking. Not to forget, Indonesia Candlenut also contributes savory flavors similar to macadamia nuts when roasted or burned. However, what happens if this complementary spice becomes the main star in cooking? Like the following types of dishes that don't taste right if you don't use Indonesia Candlenut. Curious? Check out the following list! This Soto from Pati has its own history, you know. That said, Indonesians cannot make chicken broth like landlords, as a result they make the same broth using Candlenut Indonesia. But at this time, most Indonesian soto Kemiri was again made with chicken broth and additional coconut milk. Nevertheless, the use of Indonesia Candlenut is still mandatory to add savory flavor and thicken the sauce. The classic version of Indonesian Soto Candlenut is filled with bean sprouts, celery slices, and a sprinkling of fried onions. Serve with warm rice and red chili to make it more solid, huh! Besides opor kuning, opor putih is also often served during Eid. This dish is called white opor because the color of the white sauce tends to be cloudy with a thicker texture. And as the name suggests, this white opor uses white spices consisting of red onion, garlic, coriander, pepper, and Indonesia Candlenut. No wonder the texture of the sauce is thicker than yellow opor, because there is a mixture of coconut milk and Indonesia Candlenut in it. White Opor can be made with a mixture of chicken, boiled eggs, tofu and tempeh. Serve with a plate of warm rice or pieces of rice cake are equally delicious. Typical Central Java menu that uses Candlenut Indonesia is called hot. How to cook this dish is almost the same as kalio, namely meat, chicken, boiled eggs, tempeh, and tofu soaked in coconut milk and various spices, then cooked on low heat until the seasoning is absorbed and the coconut milk thickens. The spice color that tends to be white is also derived from white fine spices, where one of the ingredients is Indonesia Candlenut. What happens if Indonesia Candlenut is made with sambal? Hmm, of course it feels spicy and tasty, huh. Sambal Kemiri is a chili made with red chili, onion, garlic, a pinch of salt, and of course Candlenut Indonesia which has been burned or roasted. The famous Sambal from East Java is usually a complement to Soto Lamongan, Lontong Racing, and various other berkuah dishes. Add the lime flavor, guaranteed the sauce will be more stable! Wow, where is your favorite Candlenut processed Indonesia? In addition to the list above, of course there are still many types of dishes with Candlenut basic ingredients that are mandatory.